Red Velvet has successfully wrapped up their first concert of the North American tour. On February 10, SM Entertainment shared that Red Velvet performed in Los Angeles with the enthusiastic cheer from the audiences. Tickets to Los Angeles performance, which took place on February 7-8, sold out. 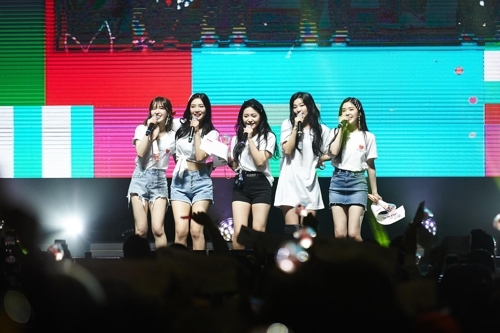 For 150 minutes, Red Velvet members performed a series of their hit songs, which include “Happiness,” “Russian Roulette,” “Rookie,” “Peek-A-Boo,” “and “Power Up.” The audiences showed passionate reactions especially when the group performed “Bad Boy” and “RBB” in fluent English. Following the Los Angeles concert, Red Velvet is performing in Dallas, Miami, Chicago, and Newark. After that, they’re flying to Canada for the performances in Toronto and Vancouver.